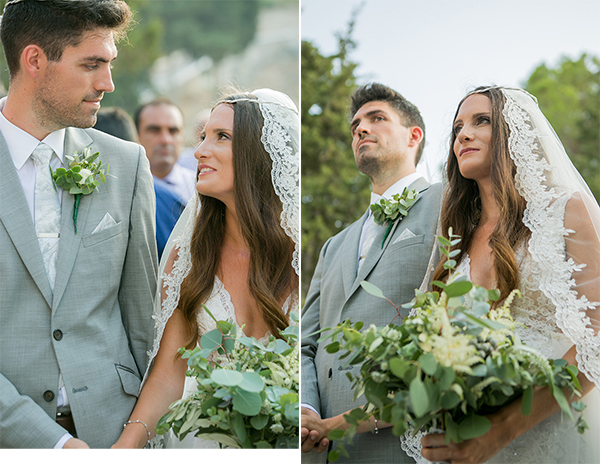 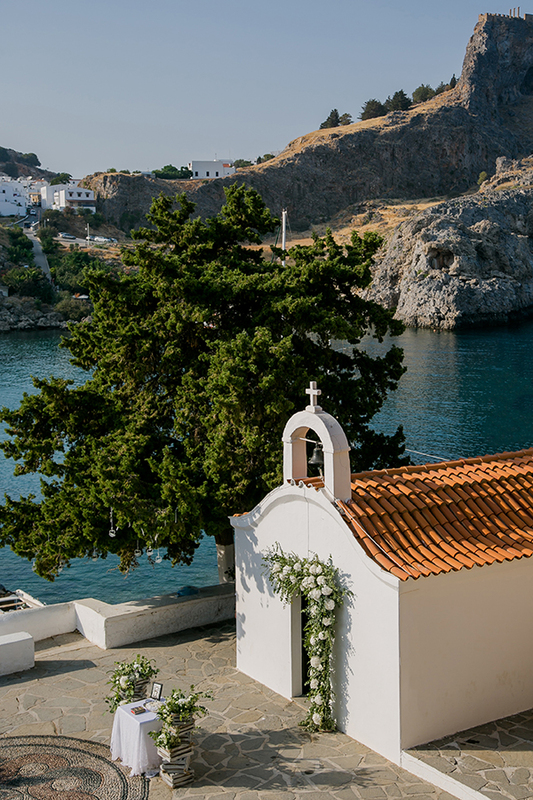 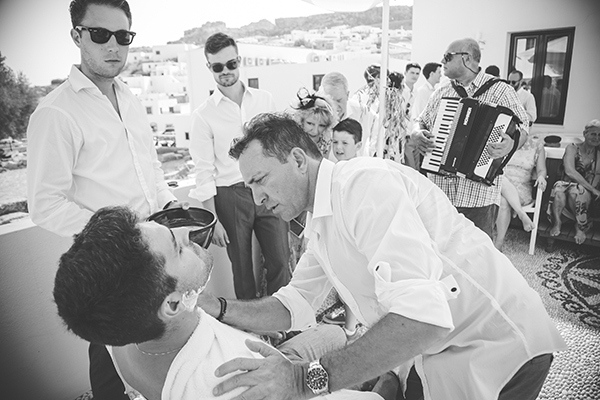 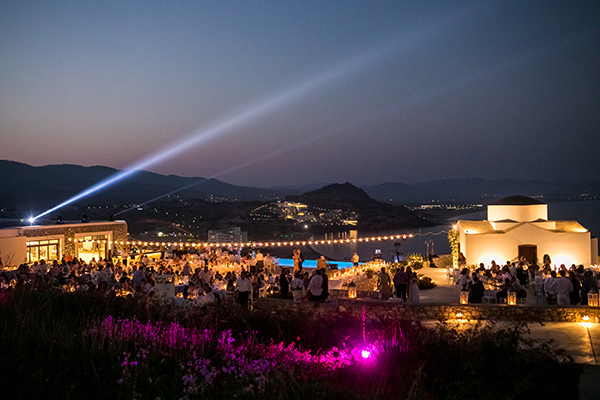 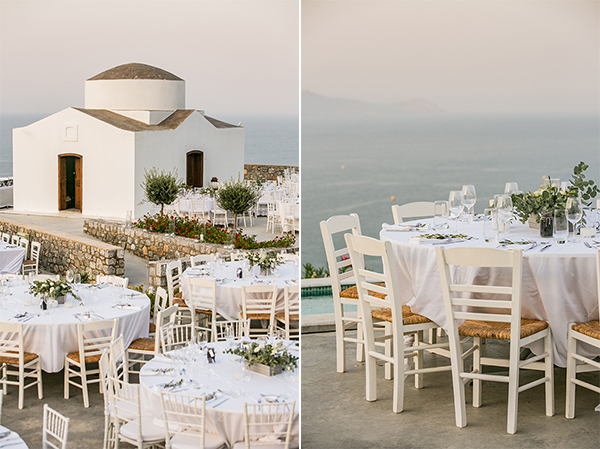 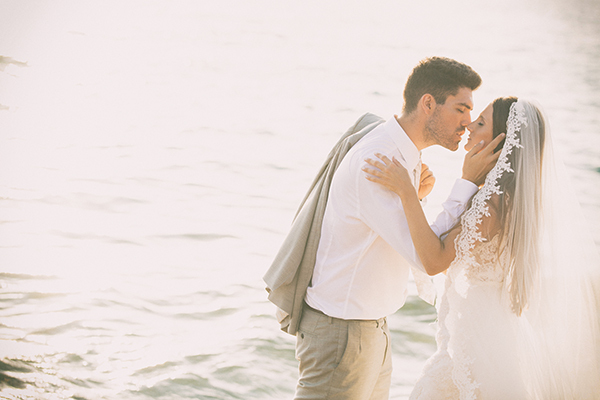 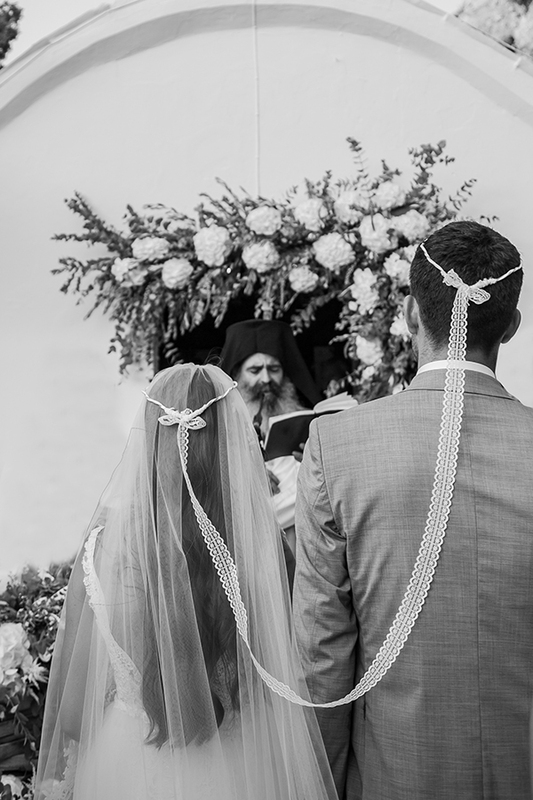 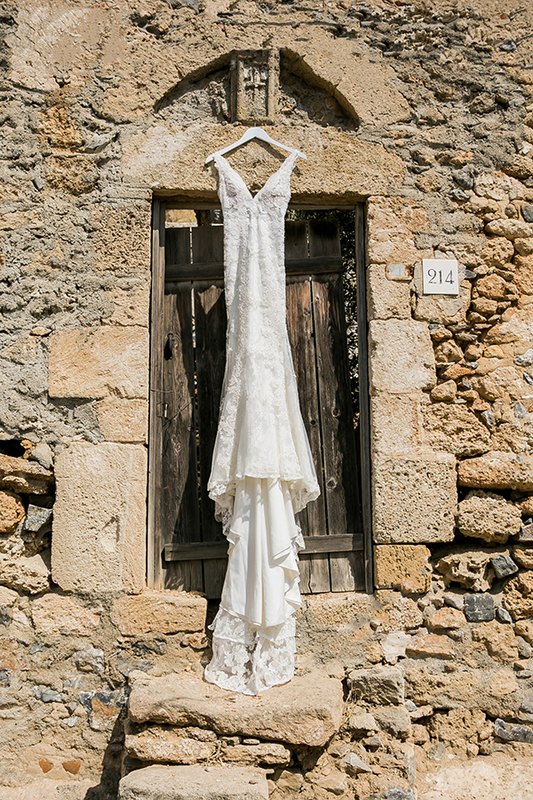 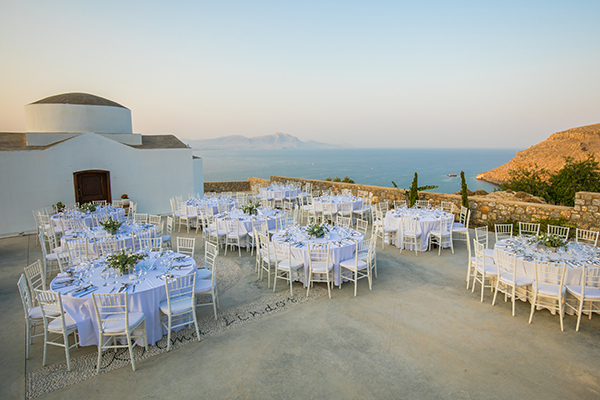 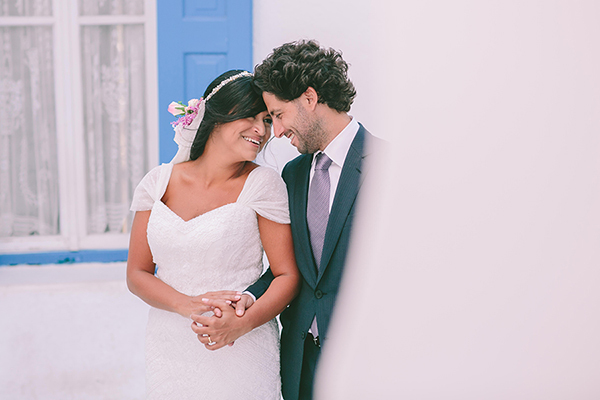 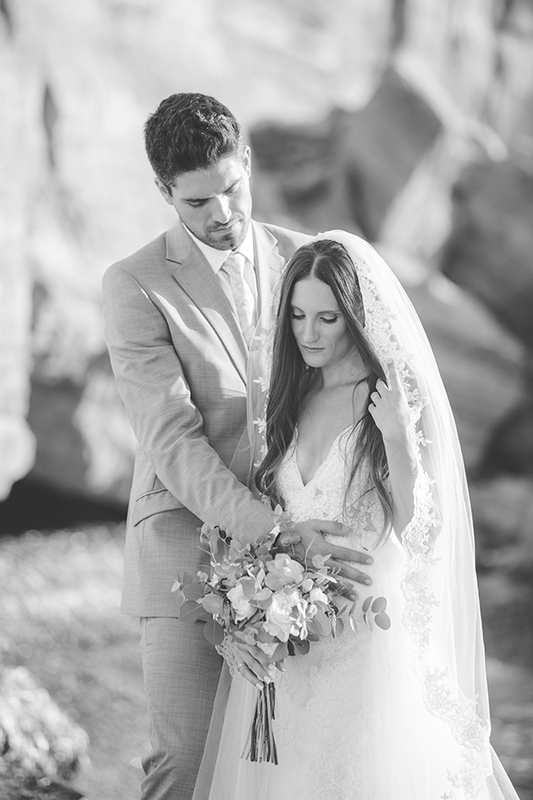 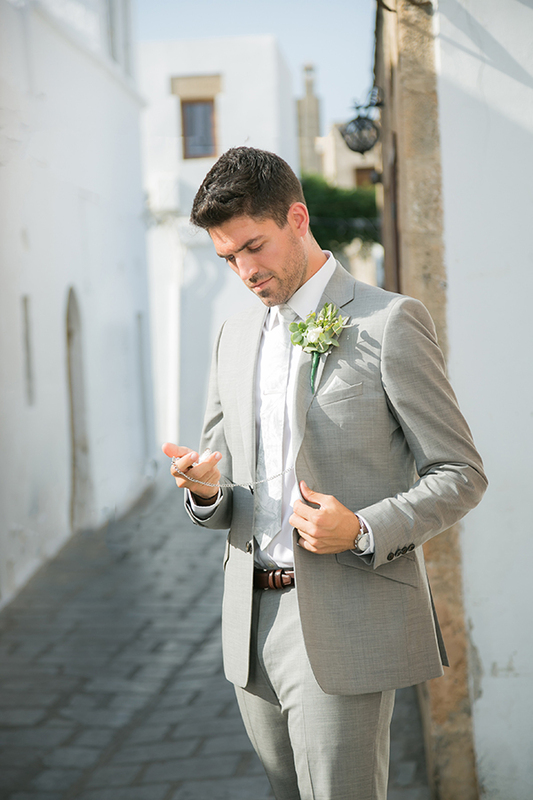 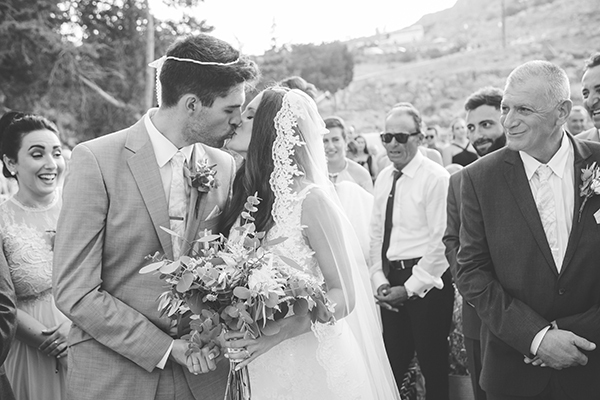 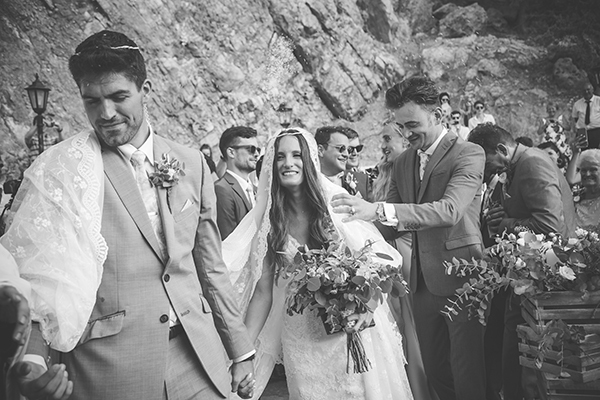 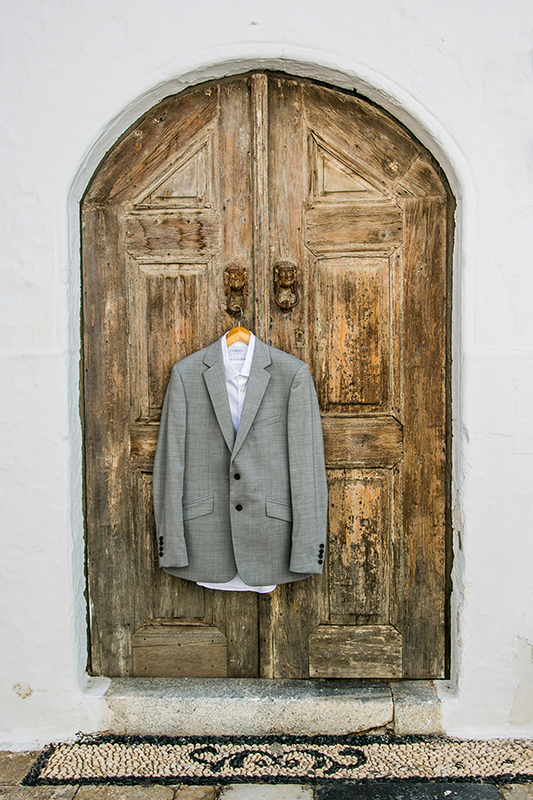 Today we’re sharing with you a gorgeous wedding in Rhodes, where the bride grew up. 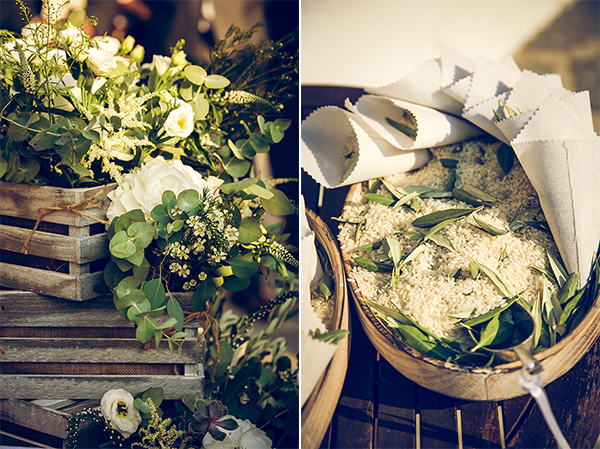 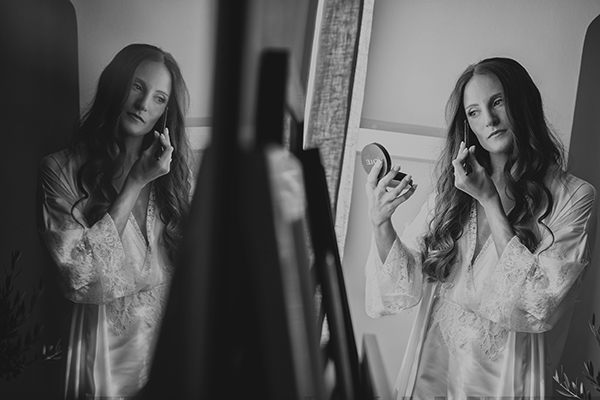 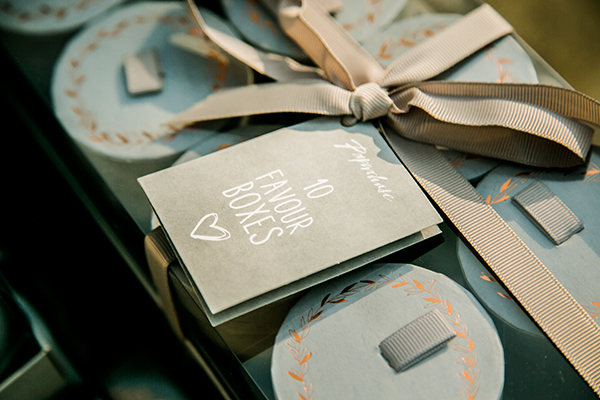 Emma and Chris’ wedding overflows with elegance and romance. 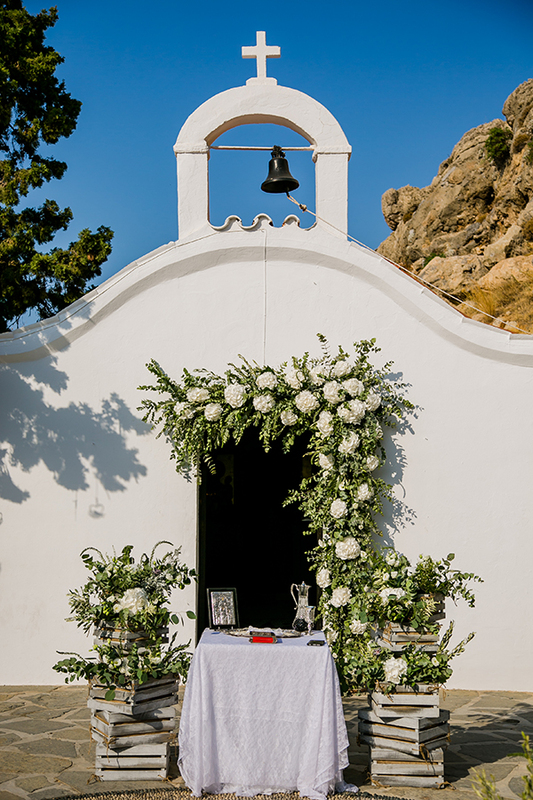 The whole color palette and decoration was inspired from the Greek island landscape, as they were based on white, grey, silver green and dusty pink hints. 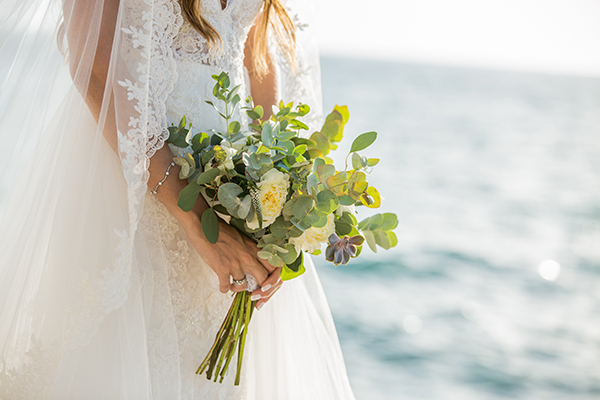 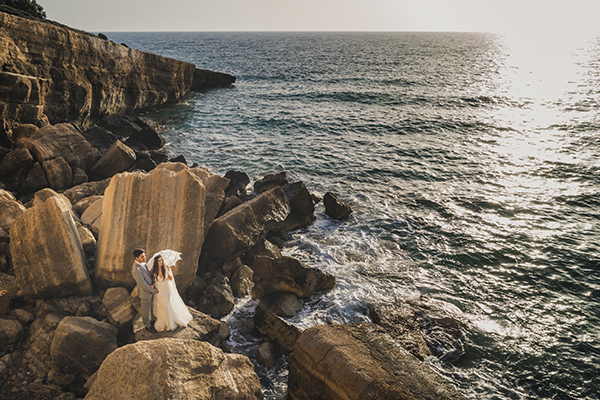 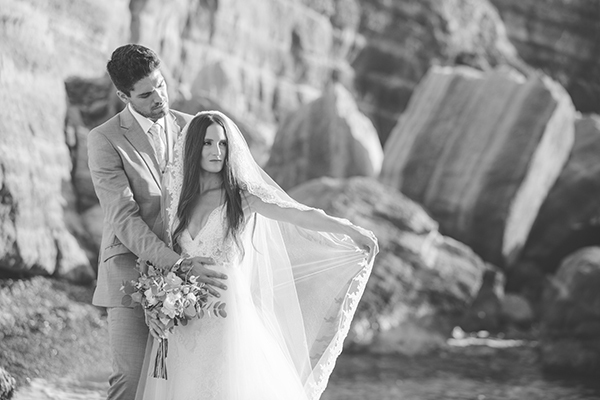 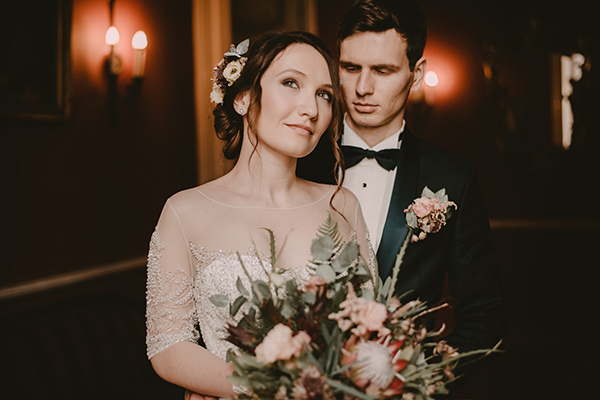 It was a natural, rustic wedding with the magical background of the sea, the archaeological site, the white small houses and the greenery landscape. 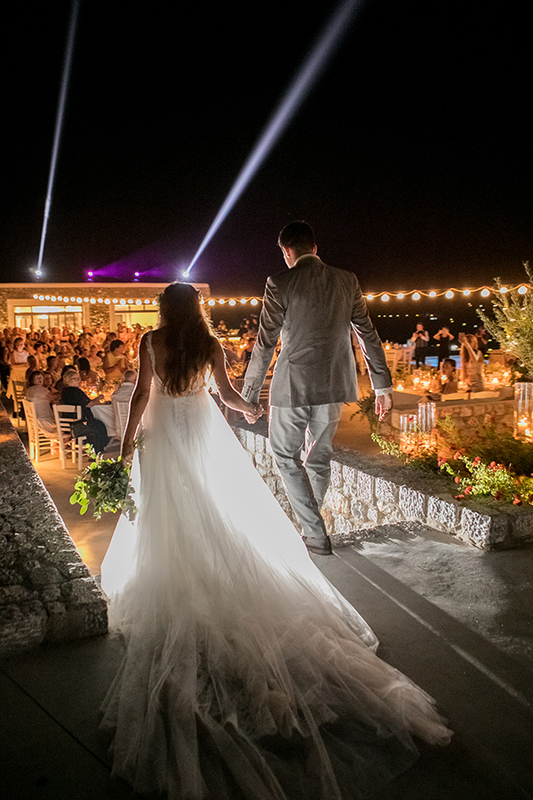 Check out the following photos captured perfectly by Savvas Argirou Photography and feel completely transported to this historical island! 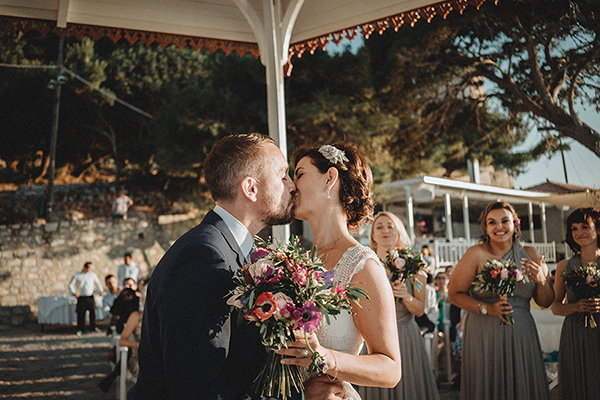 “We met at university in Oxford whilst studying Architecture. 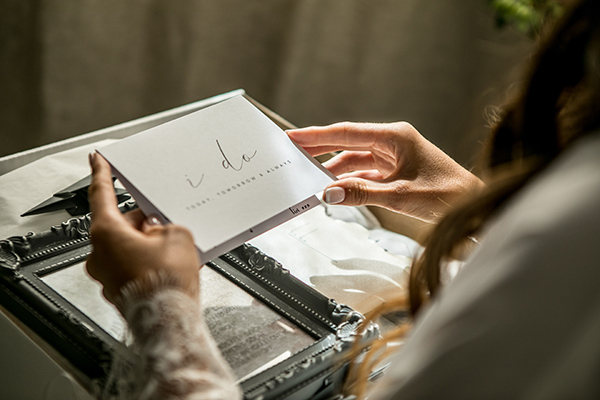 We both remember that first moment when we both met; across a studio table in our first group meeting where we were placed in the “bird” group with this being the focus of our year’s architecture work. 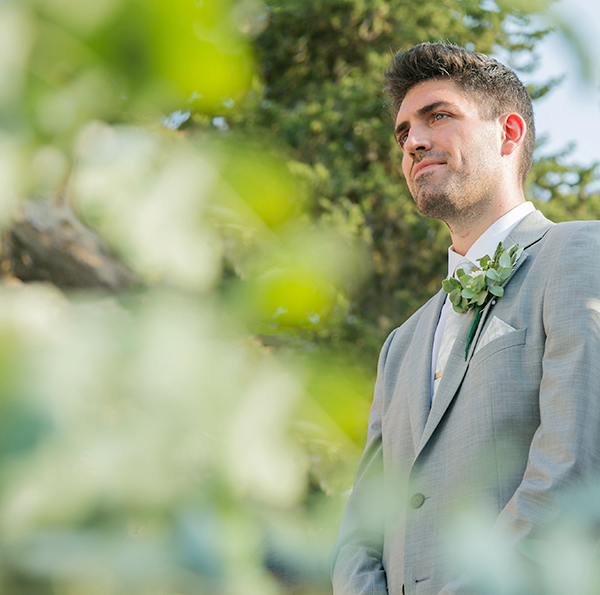 Since that moment, birds have taken a key role in our relationship. 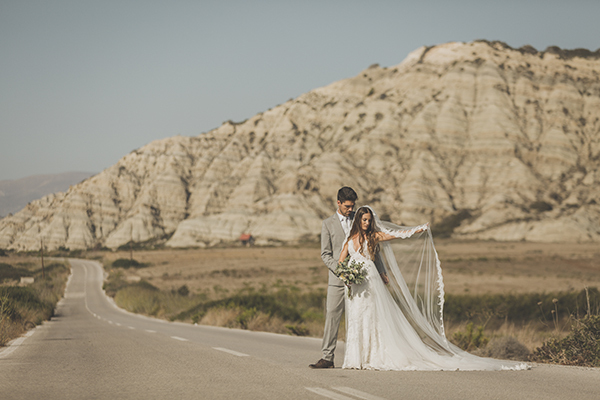 Following this, we visited Palestine as part of our university trip, where our friendship flourished which 5 years later lead to a summer Greek wedding”, the bride shared with us. 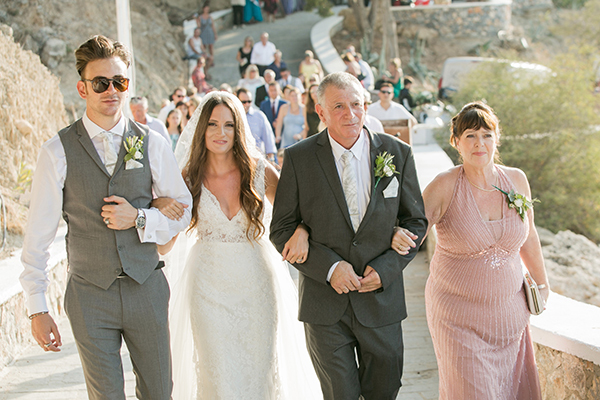 “Chris proposed whilst on our summer holiday in Rhodes. 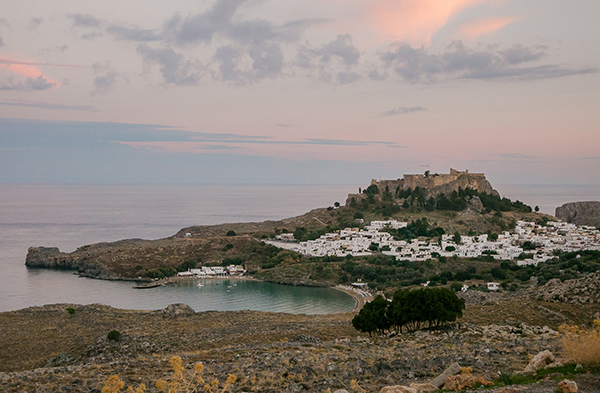 He chose the most romantic spot on a beach in Pefkos near Lindos. 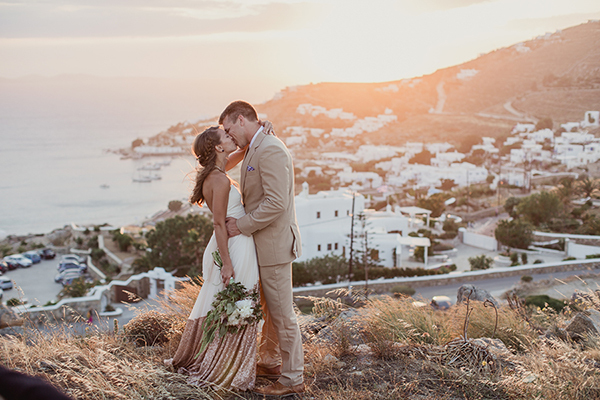 He proposed during the sunset, my favorite time of the day, whilst saxophone music (my favorite instrument) , was playing in the background. 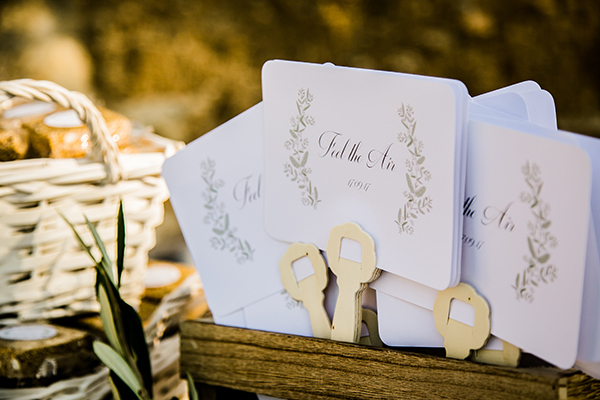 He made hundreds of origami birds with romantic words written on them which he hung on a tree and placed candles around us. 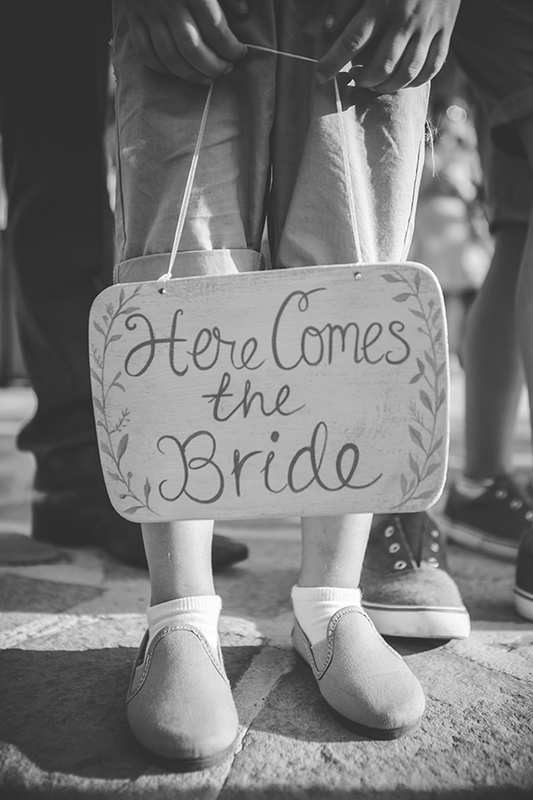 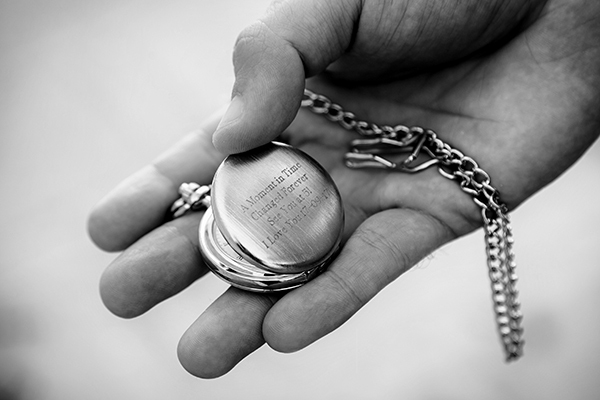 It all seemed unreal and you don’t remember a lot of things due to all the excitement, but the one thing I will remember forever is the moment when he kneeled down and took the ring out the box. 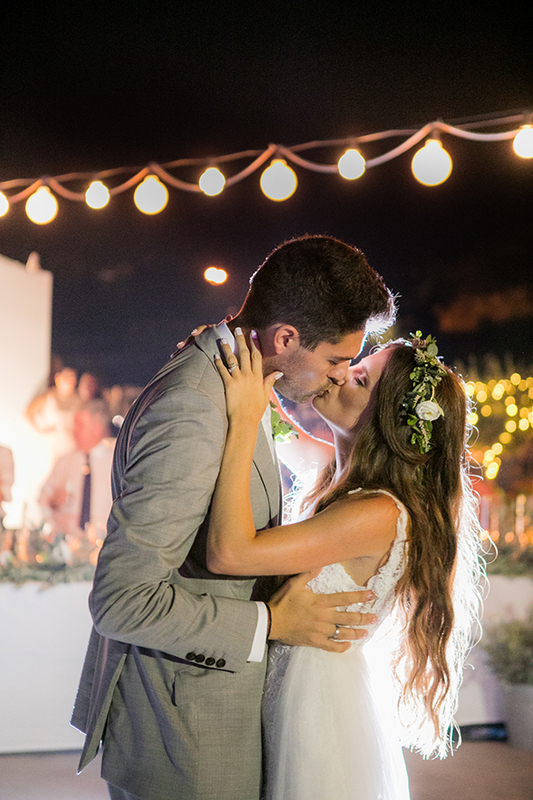 The thought that came to my mind was “this is really happening, I am going to spend the rest of my life with the man of my dreams and oh my God the ring is perfect”.